This new project, being implemented by the London School of Jewish Studies (LSJS), is in keeping with the university’s focus on strengthening the field of teacher training. Building on its stellar reputation, existing courses and longstanding partnerships with schools in the UK, this new project works to train teachers specifically for Jewish schools through the development of further coursework. The new initiative is also offering online learning, so as to expand the numbers of teachers able to participate. Early Years General Education is for teachers working with children ages 2 to 5, and will assist them in integrating secular and Jewish study curricula. Early Years Jewish Studies Education is aimed at teachers who wish to focus on Jewish studies for students ages 2 to 5. Mentoring and Coaching track focuses on school mentors and teachers whose role it is to train new teachers within their schools. Participants in this track will build their mentoring skills and become empowered as leaders of their schools’ Jewish education departments. In addition to the courses and tracks listed above, the Pincus Fund for Jewish Education is also supporting the development of new online courses as well as the migration of existing courses to an online platform. 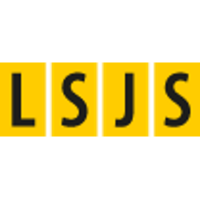 LSJS is seeking accreditation for these courses, which will be offered as MOOCs (massive open online courses) allowing for thousands to participate at one time. As there is no online-based teacher development program focused specifically on the Jewish teacher, the infinite scalability and the minimal costs make this initiative worthwhile both for its reach and its economy. The Pincus Fund for Jewish Education is excited about being part of this trailblazing new project that will offer Jewish educators in the UK and beyond the opportunity to upgrade their professional teaching skills.